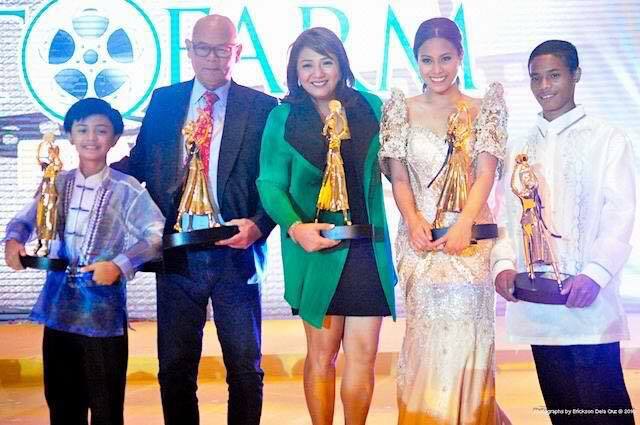 The first-ever TOFARM (The Outstanding Farmers) Film Festival announced its winners in an awarding ceremony held at Makati Shangri-La Hotel on July 20, 2016 (Wednesday). Hosted by Carla Abellana and Dingdong Dantes, the program glittered with performances by Christine Allado, the Whiplash Dance Company, and Aleron Choir. 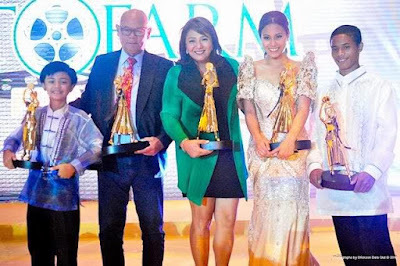 The TOFARM Film Festival featured six (6) films about the lives of farmers, agriculture and the bounties of nature. 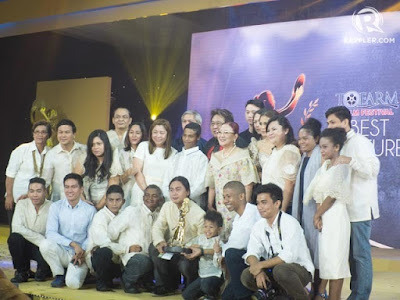 It is a project of TOFARM, the organization that recognizes the outstanding farmers of the Philippines. The festival is the brainchild of Dr. Milagros O. How, Executive Vice President of Universal Harvester, Inc. Serving as its festival director is Mr. Maryo J. delos Reyes. The festival ran from July 13 to 19 at SM Megamall and SM North EDSA, but currently on extended run from July 20 to 26 at SM Megamall Cinema 7.